Sri Lanka’s new tax bill, demanded by the IMF as a condition for a third tranche of aid disbursed this week, will seek to ensure that all citizens pay direct taxes and cut indirect taxes, top finance ministry officials said on Friday. The new Inland Revenue Act, the island nation’s major tax reform since independence from Britain in 1948, will expand the tax net and seek to stamp out evasion, when implemented at the start of the next fiscal year on April 1, 2018. 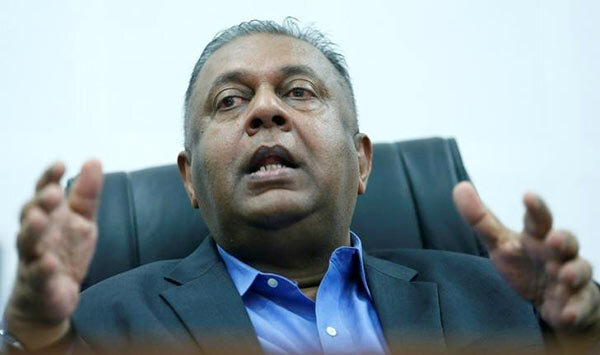 “The idea is everybody should pay taxes,” Finance Minister Mangala Samaraweera said, speaking for the first time about the measure, which is to be debated in parliament next month. “The main aim of the reform is to reduce indirect taxes and increase direct tax,” he told reporters in the capital, Colombo, adding that it would include few exemptions. The new measure will support fiscal consolidation, make the tax system more efficient and equitable, and generate resources for social and development programs, the IMF, which approved a loan of $1.5 billion last year, said this week. Tax revenue in Sri Lanka has risen to 12.4 percent of gross domestic product (GDP) in the last two years, recovering from an alarming fall to 10.1 percent in 2014. The bill follows pressure from the IMF to hike revenues amid repeated balance of payment crises that saw Sri Lanka’s rupee currency depreciate 29 percent since 2008, as external borrowing spiked in the final phase of a 26-year war. The previous government borrowed heavily to rebuild infrastructure after the war ended in 2009. Junior Finance Minister Eran Wickremeratne said the new reforms would be fair and just, with possible cuts in indirect tax, which put an outsize burden on the poor versus the rich. “There are people who earn a monthly 20,000 rupees, 200,0000 rupees, and 2 million rupees each. But all three pay the same indirect tax for a loaf of bread. This is not fair,” he said. Sri Lanka’s government revenue surpassed expectations to rise 17 percent in the first quarter on the year, fuelled by higher collections after a hike in Value-Added Tax since last November. Tax revenue rose 9.2 percent to 1.66 trillion rupees ($11 billion) last year, as Sri Lanka achieved its budget deficit target of 5.4 percent of GDP, down from 7.4 percent in 2015. I have no issues with Port Workers being paid LKR 100,000 per month and CEB Meter Readers being paid LKR 70,000 per month. These categories of workers contribute immensely to the economic welfare of our nation. The wages paid to glorified Peons under the categories of Ministry and Divisional Secretaries, Additional Secretaries, Deputy Secretaries, Directors, Additional and Deputy Directors, Project Managers, (I can go on forever with this list !!!) is money down the drain. Tax free car permits to these officers are promptly sold in the market. The Public Sector office workers including professional categories such as Executives, Managers, Doctors, Engineers etc are blood sucking parasites which should be eliminated once and for ever. The Public Sector should be trimmed, ruthlessly, and the wages bill cut down to < 20% of existing.